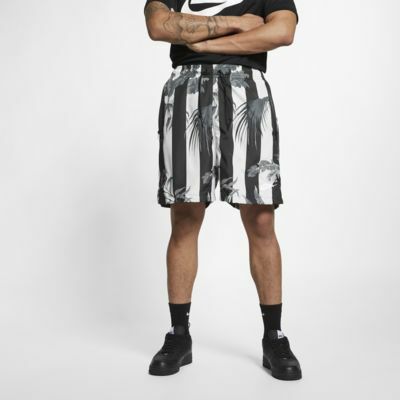 Classic stripes blend with a unique palm print in the Nike Sportswear NSW Shorts. Made with a boxy, soccer-inspired design that hits above the knees, these shorts have a breathable mesh lining for extra comfort. Mesh lining offers breathable comfort. Boxy, soccer-inspired design hits above the knees. 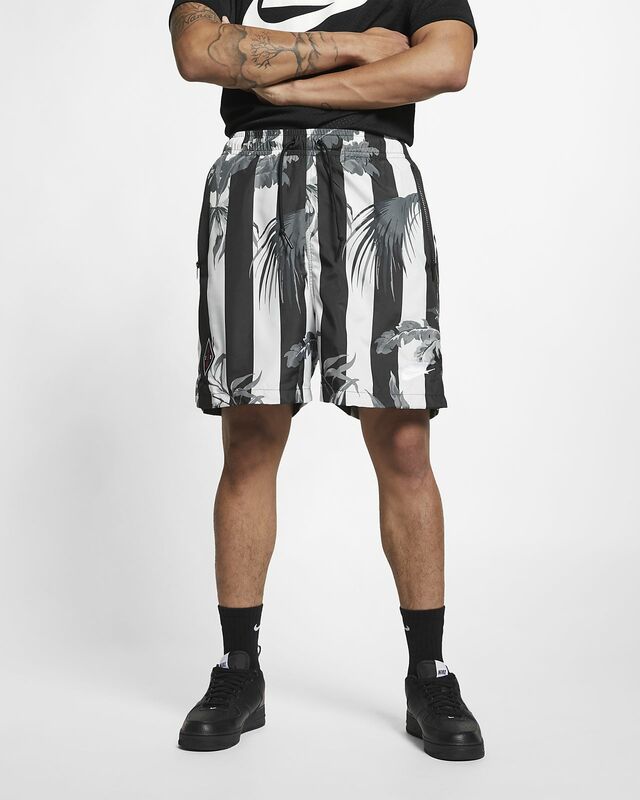 The classic stripes of a soccer kit blend with a lifestyle palm tree print. Embroidered crest at the thigh is inspired by the original NSW graphic developed in 2008.